The narrator explains that he is part of a long lineage of people and every one hundred years, a family member must venture forth to this place to take part in an ancient festival tied to Yuletide (which coincides with Christmas Eve). He journeys to this strange town wherein he finds it particularly quiet and haunting. He approaches the house he is looking for and is welcomed in by a mute. While waiting for the midnight, he sits in the house and finds the man has a collection of rare and powerful texts including the Necronomicon. He is haunted by the silent man and by the town in general and it only worsens as he reads from the evil book. At eleven, they leave the house and make their way through the town, as they do, other houses empty out and follow them. They make their way to the churchyard with its graves and disheveled building. They enter the church, all the while, the man not entirely clear on what is transpiring--he feels compelled but also repulsed by what is happening. The townsfolk file into the church and into a secret entrance that descends deeply into the ground. The distance covered is bewildering to the narrator and when they finally arrive, he finds an underground world of strange caverns with strange lighting emanating from one pillar that casts no shadow. A flute-like sound can also be heard and a deep and insidious body of water is present. All of this continues to make the narrator apprehensive. Finally, strange flying creatures arrive to which each townsfolk climbs upon and leaves. The silent man and the narrator are left and the old man insists that he gets onto a beast. The narrator will have nothing of it, even though the muted man insists that he should and that the narrator should trust him because is his ancestor from two hundred years ago. All of this is enough to send the narrator mad so he jumps into the water to escape. He awakes some time later in a hospital in a nearby town and is told that his body was found, nearly frozen. When he discovers that the hospital is near a church, he insists on being moved back to his hospital in Arkham. 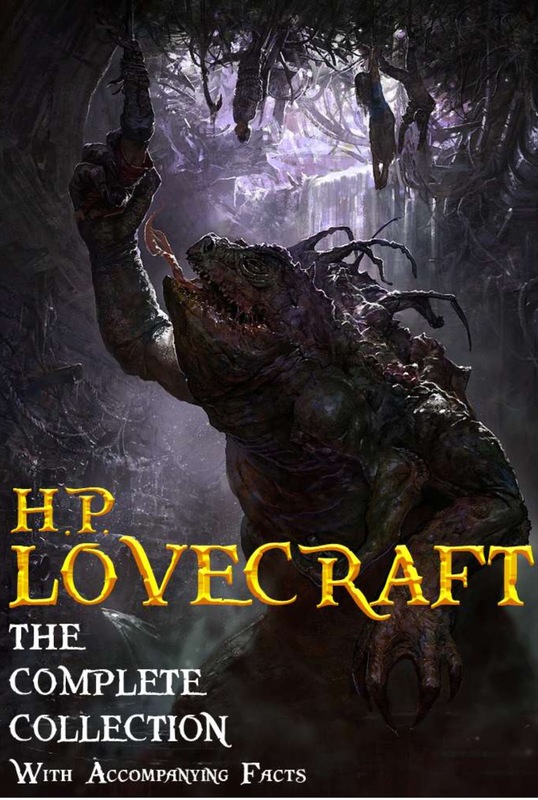 He finishes by telling of the story that he read in the Necronomicon which tells of deep and devilish places within the earth that largely describe what he had witnessed. The story wasn't too exciting per se. Though it was a curious one, the climax felt largely dull--he jumps into a river (and we largely know he is ok because he is narrating the story). However, his descriptions of the place and the development of the atmosphere were impressive. He had some great descriptive lines in this story like "...I saw that it was a burying-ground where black gravestones stuck ghoulishly through the snow like the decayed fingernails of a gigantic corpse." Now that is a distinct visual that lingers with you. I also think that unlike other tales where you question the sanity of the narrator, that is missing from this story and so it feels a bit more stilted--you get to the end and you're apt to say, "so what? ".